The Ritz-Carlton in Naples, Florida recently unveiled a champagne vending machine in its hotel lobby. Guests purchase a $25 gold coin at reception, which is inserted to dispense one of two Moët & Chandon varieties. The historic brand is a part of luxury goods conglomerate LVMH. 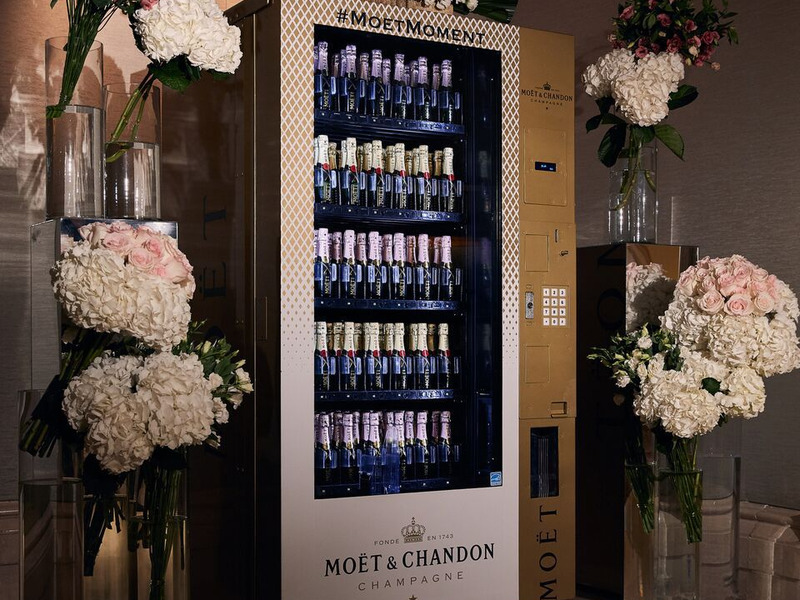 The machines, stocked exclusively with Moët & Chandon, are growing in popularity. Currently, other locations include hotels in New Orleans, Baltimore, and Las Vegas, along with temporary installments at several bars. Champagne vending machines are one of many ways in which hotels are reinventing the way they serve guests drinks.